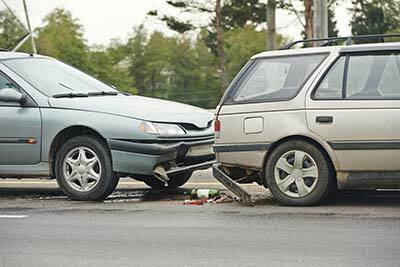 Who is at Fault in a Rear-end Collision? You’ve probably heard from many people over the years that a driver who rear-ends another driver will always be at at fault. If you’re like many Texas drivers, you may have even been tempted once or twice to tap on your brakes when someone is following too close behind to force them to back off. In the majority of rear-end collisions, you’re probably right — the person who rear ends the other is at fault. But that’s not clear cut in every case. If you’re involved in a rear-end collision, you should know that there are many factors that will contribute to properly assigning who is at fault. Getting it right when you file an insurance claim is critical if you’re involved in this type of accident. In a failure to yield the right of way, a driver carelessly pulls out in front of you when you have the right of way. For example, you are on a residential street and a driver backs out of a private drive and does not notice you coming up the street. Maybe the driver doesn’t even check to see if there is oncoming traffic, and you rear end the driver as he or she backs out. In this case, the person who rear ends the other is not to blame. This situation is called failure to yield right of way, and it can also occur on public roads anywhere in Texas. Conversely, if you are the driver who fails to yield to oncoming traffic then you could be found for responsible for the collision. Just because you were hit from behind does not always absolve you from responsibility. Cutting someone off or merging too close can create a complicated situation in which it’s difficult to assign blame if an accident occurs. Factors that contribute to assigning blame include speed, density of traffic, and driving conditions. In this situation, for example, if a driver is merging onto the freeway and pulls in front you without leaving enough space for you to adjust your speed, the driver could be held responsible for the collision if you rear end them. The driver who is merging or changing lanes should be able to safely anticipate the presence of other drivers in the lane in which he or she is driving too. This is especially important in heavy traffic. But if there is plenty of space for the driver to safely merge and the other driver fails to pay attention and stop in time to adjust to the merging vehicle, the situation could be reversed, and in this case, the person who rear ends the other driver may be at fault. As we mentioned earlier, we know that drivers who are being tailgated can get tempted to pump their brakes to scare the tailgater off. That’s might not be the best the idea, especially if the tailgater does ends up rear-ending you. This is because a jury of your peers may end up deciding that you stopped too quickly for an unreasonable reason and find you at fault for causing an unnecessary accident. This type of situation, where there may be reason to believe the driver who was rear ended stopped short or failed to maintain speed, can often fall into the judgement of a jury. So while it may have seemed like a good idea to pump your brakes or slow down to get another driver to stop tailgating you, if an accident occurs, a jury could very well find that your actions were not reasonable and, thus, you may be held responsible for the collision. On the other hand, if you rear ended a driver that abruptly stopped in a situation where there was likely no reason for the driver to stop, you may not be found at fault for causing the accident. In this situation, it’s important to use your own judgement to figure out if a jury could logically determine from the circumstances. The best advice we can give you is to resist the temptation to slam on your brakes when you are being tailgated. Rather, you should just change lanes and let the other driver pass you before the situation escalates and an accident unnecessarily occurs. The common thread here is that while many rear-end accidents commonly result in a finding that the driver who caused the accident failed to stop in time for a variety of unsafe driving reasons, there are many other individual factors that can contribute to this type of accident that can demonstrate that the other party was in fact the negligent driver. Some of the causes to be aware of include driver inattention, such as texting while driving, tailgating, driving intoxicated or under the influence of drugs, failure to drive safely in adverse weather conditions, road defects or a third-party driver driving unsafely, unforeseen obstructions in the road, mechanical failure such as faulty brake lights, and accidents caused by health conditions. The answer of who is at fault in a rear-end accident is never as black and white as many drivers have been led to believe. It may be difficult to determine which driver failed to adhere to his or her “duty of care” on the road. That is why if you have been involved in a car accident, either as the alleged at-fault driver or as the victim, it is important to consult with an auto accident attorney before filing or settling a claim. This is important because the insurance company of the driver that is found to to be negligent will ultimately be responsible for compensating the other driver for his or her damages. Additionally, even if you think you are absolutely sure who is at fault, it never hurts to seek legal advice before you file a claim. Claims adjusters are used to seeing a variety of situations and can quickly discern if there is enough evidence to support your claim, so it is better to be safe than sorry by seeking an expert legal opinion. In many cases, the insurance company will try to arbitrarily reduce the amount offered to you or deny your claim altogether. In these situations, it is best to find well qualified car accident lawyer to assist you with your claim.